The life cycle of a plant can be looked at as having four stages. The plant begins as a seed; goes through the growth process of creating roots, stems, and leaves; flowers; and returns to seed. The classification system of annuals, biennials, and perennials informs you how a particular plant goes through this cycle. Keep in mind, however, that plants interact with their growing environment, and climate may lead them to behave differently than the classification would lead you to expect. 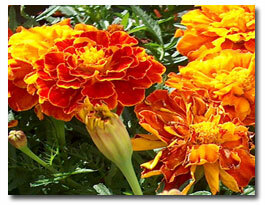 ANNUAL flowers are those that complete their lifecycle in just one growing season. In other words, you plant a seed (or a seedling plant), it grows foliage, then flowers, seeds and then the plant dies, all in the same year. 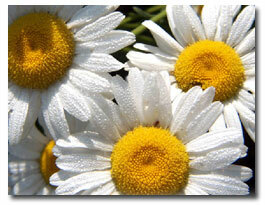 Annual flowers tend to bloom from spring until autumn frost. Although they must be replanted each year, annuals are hard to beat in terms of showy, season-long color. 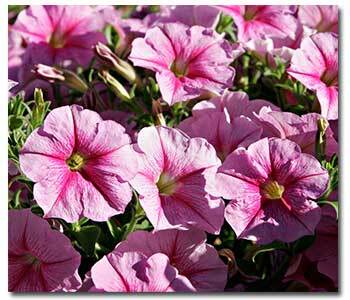 Popular annual flowers include petunias, marigolds, zinnias and impatiens. If you’re looking for something a little more exotic than these traditional bedding plants, try spider flower (Cleome), gazania, vinca (Catharanthus) and lisianthus (Eustoma). Some annuals are grown for their attractive foliage rather than flowers, including coleus, Joseph’s coat and snow-on-the-mountain. You can add some edibles such as ornamental peppers, flowering cabbage, okra and a variety of herbs. BIENNIALS include all plants which take two years to grow, flower, produce seeds, and die. During the first season they produce only leaves—usually in a rosette. Following a winter cold period, they flower in the second growing season, produce seeds, and then die. 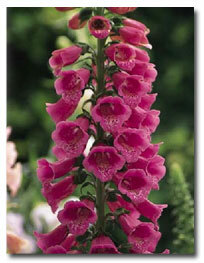 Popular biennials include foxglove, hollyhock, stocks, and sweet williams. Cultural practices are basically the same as for annuals, except that the plants are alive for two growing seasons. PERENNIAL flowers are those that grow for three or more years. Although most perennials tend to have a relatively short season of bloom, combining several species in your planting can yield season-long color. Many perennial plants do keep their leaves year round and offer attractive borders and groundcover (e.g. Tickseed, Shasta and Ox-Eyed Daisy). There are many sizes available in perennial plants. Some of the most popular perennials include daylilies, hosta, peonies and garden mums. For a spikey show of blue, try blazing star (Liatris). Or for a delicate bouquet of yellow, try coreopsis ‘Moonbeam.’ For dramatic late-season color, try black-eyed Susan (Rudbeckia) and purple coneflower (Echinacea).